Mothers and daughters have a lot to talk about. That's how God designed it. A mother is her daughter's first role model, teacher, and friend, and she carries the responsibility of passing on to her daughter a legacy of biblical womanhood. 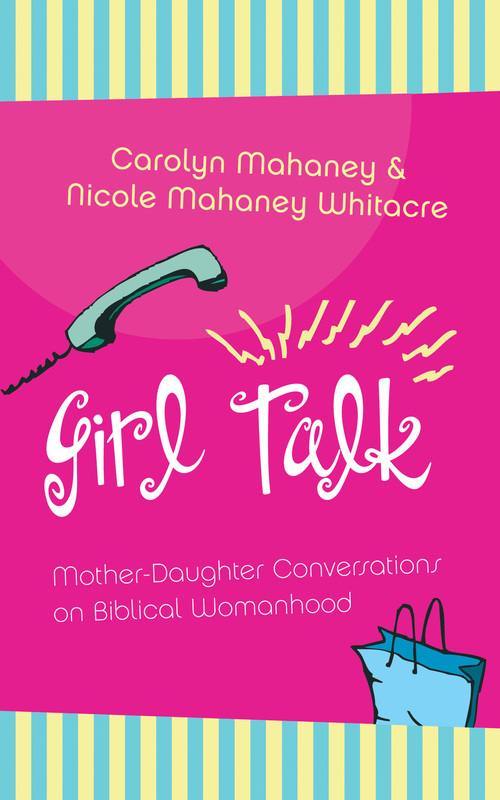 Join mother-daughter team Carolyn Mahaney and Nicole Whitacre as they give you insights and suggestions on how to talk—really talk—to each other about what it means to become a godly woman. Tips and study questions make it easy for moms and their pre-teen and teenage daughters to read, share, discuss, and grow. "The Mahaney women's chatty and comfortable approach is deeply biblical and straightforward, connecting with all sorts of relationships, including single moms, stepmoms, adoptive families, and those in either healthy or challenging relationships." "This delightful read is filled with warmth, wit, and wisdom-and loads of practical ways to apply the gospel to real issues facing teen girls. . . . I am grateful for this call to mothers to pass the legacy of biblical womanhood to their daughters."